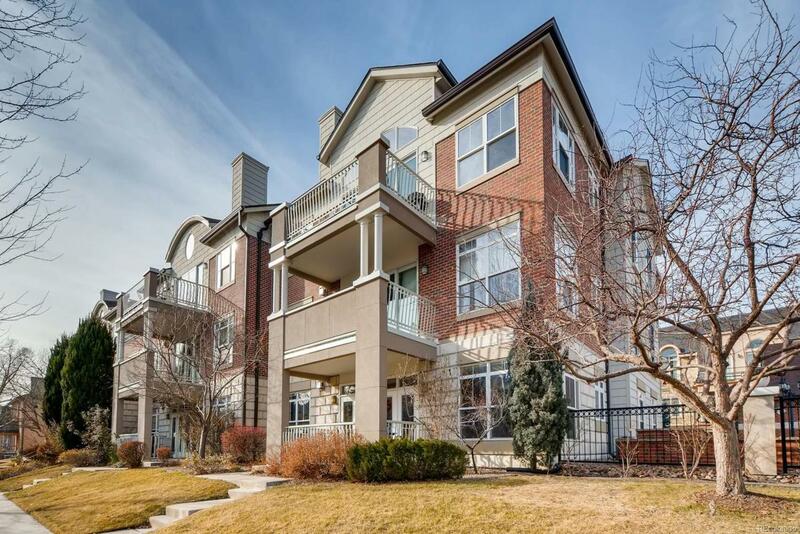 You'll adore this lovingly cared for ground level Cherry Creek condo! This END UNIT has big windows and an open layout which makes it truly feel like home. You'll love the gas fireplace, covered patio with its rare direct unit entrance, beautiful hardwood floors, master suite with walk-in closet and ensuite master bathroom, and in-unit laundry room with washer/dryer INCLUDED. No need to pay for a gym membership--the fitness room is just a short walk from your unit door! The dedicated parking space and a large storage unit that come with this unit are in the secure garage, with the elevator right by this unit's parking space. Walking distance to everything that Cherry Creek has to offer--incredible easy access to amazing shops, restaurants, the Cherry Creek Mall, Whole Foods, Pulaski Park, and more! Schedule your private showing TODAY! Buyer to verify all information.